When Alejandro DeTomaso retired from race car driving he turned to car manufacturing, and by the late 1960s had given the world the bug-like 4-cylinder Vallelunga and the radical V8 Mangusta coupes—aesthetically interesting and competent road cars. In the meantime, Ford had been seeking to acquire an exotic car company, and they landed on DeTomaso’s doorstep. The radical Mangusta was interesting in concept but not quite right for the American market, but the car DeTomaso had in the works was—the Pantera. A deal was struck. The car debuted at the New York Auto Show in 1970, and with Ford's backing, the plan was to import 10,000, to be sold at Lincoln-Mercury dealerships around the country. 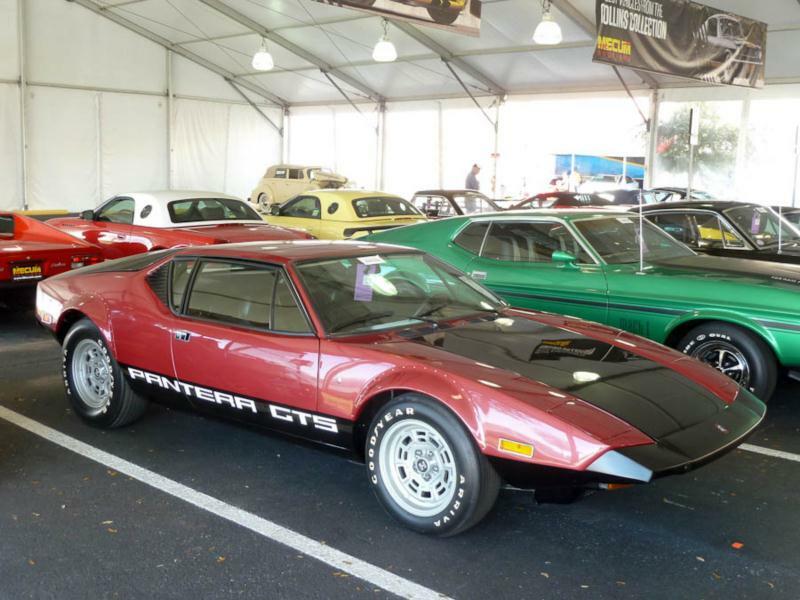 Styling for the Pantera came courtesy of the young Tom Tjaarda at Ghia, and the crisp lines and long snout sat atop a pressed-steel unit chassis, while its off-the-shelf 310-hp, 351-ci “Cleveland” V8 was situated midship and paired with a 5-speed ZF transaxle. Weight distribution was predictably biased toward the rear, 150 mph was not out of the question, and the car came with amenities like air conditioning, which American buyers demanded. Early production issues plagued the $10,000 Pantera, with fit and finish leaving much to be desired. The engine tended to overheat, as did the cabin. And while American versions of the car lacked some of the power of their Euro-spec sisters, when they weren't fizzling out, the Pantera shined. Car & Driver said in August 1971: "As you skim over the pavement in the Pantera you can’t help feeling smug. You hear the engine rumbling along from its station back by your shoulder blades—a mechanical arrangement even novitiate automotive visionaries will recognize as a little piece of tomorrow today. And the looks. Oh wow—like something that just rolled out of the Turin Show." 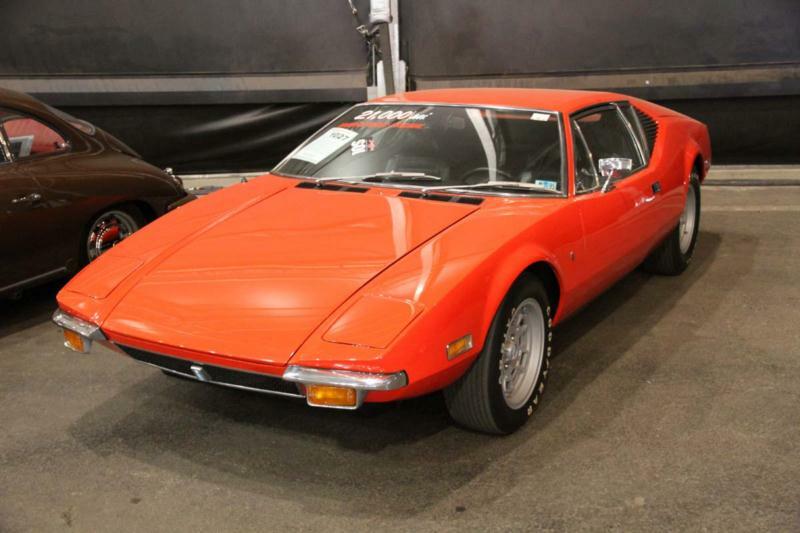 A luxury model, the Pantera L (for Lusso), arrived for 1972 with unique bumpers, a finned panel over the fuel filler, and several other cosmetic upgrades. Quality control improved, though the V8 was revised ahead of the 1973 model year with a power-stifling lower compression ratio aimed at meeting emissions standards. Pointy black bumpers arrived as well. DeTomaso also built a Euro-spec GTS model in 1973, which featured special badging and a high-compression V8, boasting 350 hp and a top speed of over 170 mph. Ford pulled the plug on the program after 1974, when fewer than 6,000 Panteras had been sold. DeTomaso continued to produce the car in Europe up until 1991, though the cars of the Ford years are generally the most sought after.